Discover the financial strategies behind some of the world’s most successful companies. Sharpen your thinking and increase your impact. Learn to make the right strategic decisions at the right time. Gain practical tools to create value based on your debt/equity mix. Broaden your knowledge and develop confidence with an in-depth understanding of different restructuring and funding options. Make smarter financial decisions through a better understanding of the practical application of risk management. Undertake long-term financial planning. Explore research evidence and find out how - and when - stock prices respond. Gain a holistic view and develop the skills to design your company’s capital structure and risk management strategy. Apply real-life lessons from public companies to create value for unlisted ones. Discover how the world’s top value creators perform, and how you could do better. Gain the critical capability to assess the merits and pitfalls of restructuring. Learn psychological tactics to help your company gain competitive advantage and create substantial value. "This programme hits home that you need to question everything." Professionals with responsibility for making financial and/or strategic decisions about your company’s debt/equity mix, payout policy, mergers and acquisitions, restructurings, creating value through private equity, or initial public offerings. Handling capital project appraisal decisions. OR have completed our Accounting and Financial Analysis and Valuation programmes. Master the practicalities of risk management. Understand funding options and explore restructuring. Make an immediate impact. Learn to structure debt in terms of maturity, fixed/floating mix, and currency mix. Focus on the application of derivatives in a corporate finance setting – real options, risk management and optimal gearing. Discover how to return excess funds to shareholders, considering payout policy and merger motives. Investigate corporate restructuring and find ways of resolving financial distress through IPOs and long-term financial planning. Explore real case studies, surveys and academic evidence from leading global companies. Bring each topic to life by examining the practical applications of each technique. Discuss theory and debate industry changes with Professor Henri Servaes, consolidating your understanding of funding, risk and restructuring. Discuss, debate and explore the key business issues with a diverse group of peers. Learn from Professor Henri Servaes, a consultant for a number of leading companies, to sharpen your thinking and uncover the financial strategies behind some of the world’s best-known organisations. Benefit from the latest research – see what happens when rational theory meets the real world. Raise your value-creation expertise in three broad areas: funding options, risk management and restructuring. Join our community and boost your confidence to create strategies across different cultures and markets. 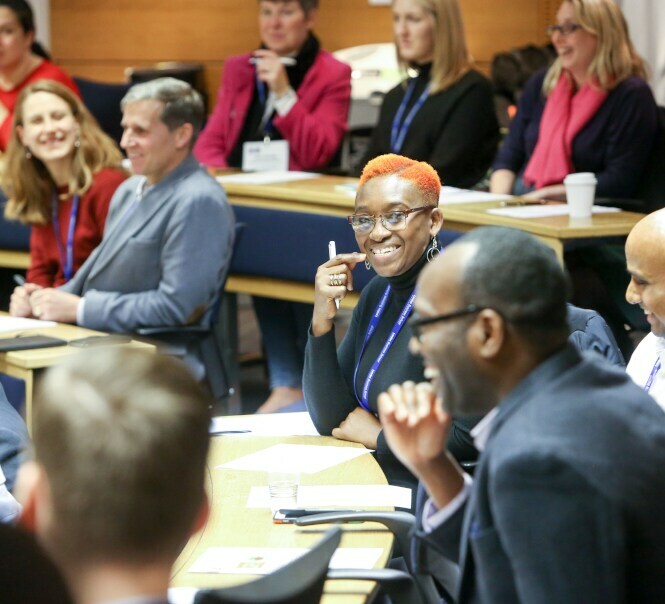 Draw inspiration from world-leading academics who blend cutting-edge research together with practical insights for a dynamic learning experience. Professor Henri Servaes is the Academic Director for this programme. He consults for leading companies and featured in the Financial Times’s ‘Gurus of the Future’ series. By peeling back the financial strategies behind some of the world’s best-known companies, his practical knowledge will sharpen your thinking. Professor Henri Servaes consults and provides executive education for Anglo American, Barclays, Bertelsmann, Continental, Deutsche Bank, E.ON, the FT (Lex Team), Freshfields, PricewaterhouseCoopers, Suez and more. Professor Servaes’ areas of interest include pay-out policy, M&A, corporate restructuring, financial distress, the security issuance process and long-term financial planning. He connects you to leading financial institutions as Professor Servaes’ expertise also centres on corporate governance, IPOs, mutual funds, and capital structure. He’s published articles on these topics in the top finance journals and is an associate editor of five journals, including the Journal of Finance. His work has been presented at major international finance conferences and at more than 70 universities worldwide. Certificate in Finance is a tailored learning route for professionals in finance. Take four Executive Education programmes in any order over 24 months.